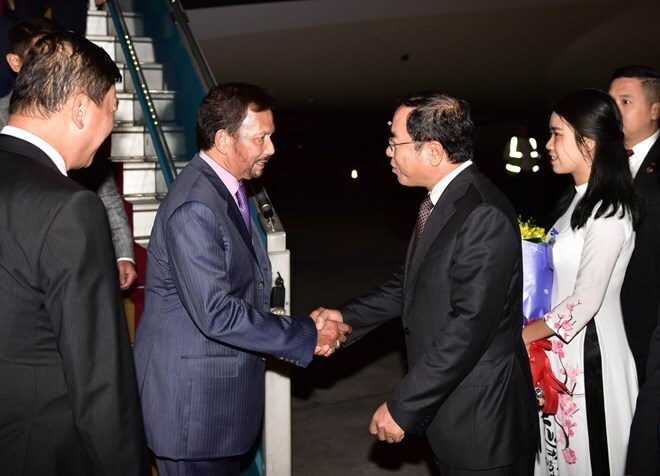 Hanoi (VNA) – Sultan Haji Hassanal Bolkiah of Brunei began his state-level visit to Vietnam on March 26 at the invitation of President Nguyen Phu Trong. The three-day trip takes place in the context of Vietnam-Brunei diplomatic relations, first established in 1992, growing favourably across bilateral and multilateral levels. In particular, political trust between the two countries has been improved thanks to the organisation of regular delegation exchanges and high-level meetings.